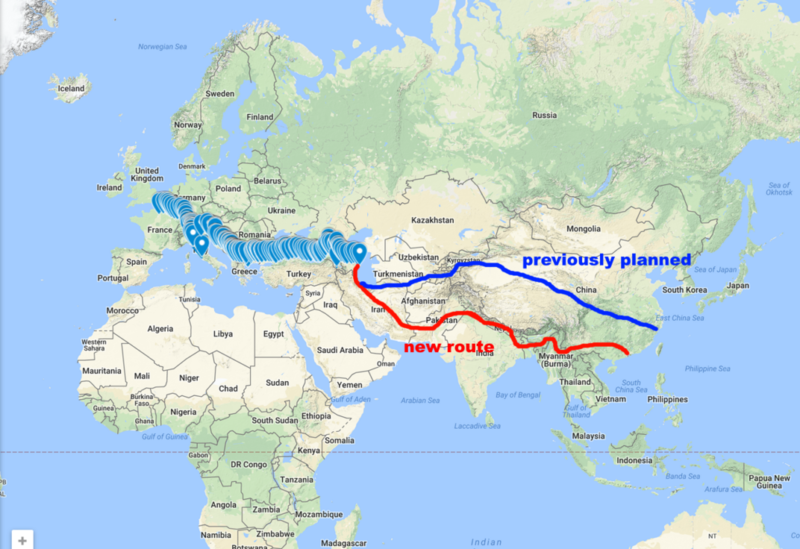 This is the route I traced since the beginning of the trip. There is a marker for every 1-day lap. You can click on each point to have a description of what happened that day. Here is my (new) planned itinerary that I announced in an october 2017 post. I arrived in Hong Kong in August 2018. Hey! This is amazing trip! We, IAESTE CHINA are welcome you in our country in China! Welcome to contact and visit IAESTE office in Shanghai! Contact us if you need anything! All the best! Je te suis avec beaucoup d intérêt au long de cet impressionnant périple. Je retrouve plein de souvenirs personnels…tout dernièrement le golden temple d Amritsar….J espère qu’ on pourra parler de tout cela un jour à Paris.Bonne continuation.